In an in-depth interview with Numbers and Narrative, Avizia’s CEO, Mike Baird, reflects on the Telemedicine industry’s rapid growth and Avizia’s mission to reduce the costs associated with connecting the right doctor to the right patient at the right time – from anywhere. Welcome to the Numbers and Narrative podcast. This is your cohost Renny McPherson and I’m here today with Mike Baird, the CEO and cofounder of Avizia, a growing telemedicine company. Welcome Mike. We’re happy to have you here in your Avizia office in July, the heart of the summer, in northern Virginia. And you and the team look like you’re hard at work. Yes we are. Summer is hot and so is business. That’s always good. So Mike as we start could you tell us, what does Avizia do? Avizia provides hardware, software and services that enable telemedicine. 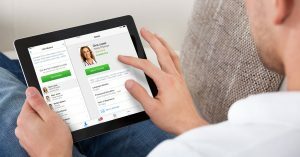 So telemedicine is all about connecting patients with doctors virtually. Primarily over video, but that could also be audio or texting or other communication forms. And we aspire to provide that entire technology platform for hospitals primarily, to help them scale their physicians and specialists in a more effective way. And telemedicine is a word that many people are hearing a lot about. It seems to be ubiquitous in 2015. 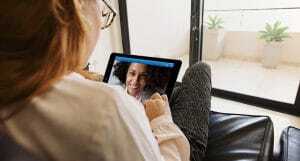 What changed in the world or in the health care system or regulation to make telemedicine something that seems like everyone is starting to do it? That’s a great question. Telemedicine has been around for decades. In fact a lot of people point to the Apollo and Mercury and Gemini missions as sort of the origins of telemedicine; they needed ways to help these astronauts take care of their health care needs. So we’re obviously a long time past then and yet it’s been a fairly stagnant market until the last 3 or 4 years. And I think it’s primarily because one, there’s always legislative issues when you’re working in something as complex as health care. Two, I don’t think the tech had evolved enough. And three, we’ve hit a point where consumers are simply demanding it. So just like any other sector of the economy, we’re finding that the power is in the consumer’s hands. You don’t go to a bank anymore and wait in line to talk to a teller. That’s the same transformation that’s finally happening in health care as well. You have all these tools at your disposal and you sort of ask yourself, well why in the world can’t I just call my doctor on video or see them in a much more efficient way? Why do I have to go through that old school process of waiting in line and setting up an appointment when I want it to be on demand? So health care is finally moving to that on-demand nature just like any other industry. And just one question to follow up on that. You said that, you’re right, I in fact don’t go to the bank and see a teller. My bank is pretty much fully virtual. USAA, there are no branches. But I would think that a number of the potential patients would be of a generation in which maybe those are the people going to tellers. For them, are they technologically savvy enough? Or is it a family member that kind of turns them on to telemedicine? It’s interesting, there’s multiple areas where telemedicine is growing and I think historically, where it started, because if you think about health care it’s often older people who need it. And I think for the last decade or more, telemedicine has been used primarily for highly acute use cases. So you’re having a stroke and you’re in a rural area where there’s not a neurologist or a dermatologist or a OBGYN or something, and this became a way to use technology to help you get the services you need, right? Think about all these soldiers that have come home from the middle east, from things in Afghanistan or other things, they often have PTSD issues, but they very commonly live in very rural areas where there aren’t psychologists around. And so in these high acute use cases, it was very simple to set up video links and start to see patients. Now as we sort of move into 2015 and the Uber economy, another thrust has been that the younger generation just says, why in the world am I waiting to see my doctor when I can just go online and push a button and see a doctor? So those are two different areas that are driving it. But they’re both sort of converging. So both what we call urgent care, which is actually not as urgent or scary – the home users. 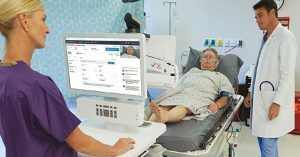 And the acute care, which is the much more scary, ‘I’m having a stroke.’ Those have converged and we’re seeing telemedicine be relevant across all kinds of use cases. Right. And it’s easy to see from a kind of top-down or bottoms-up analysis how this market is really growing pretty steadily. [5:00] When did Avizia start and can you talk about, you started it, from what I understand, with a couple colleagues and you all have maybe complimentary skill sets. When did you get going with Avizia? So we officially incorporated Avizia in, I think it was April of 2013. But the company itself had its roots long before that. And we sort of have an interesting origination story in that many of us were at a company called Tandberg, a little Norwegian company that was the world leader in video conferencing. And five years ago Cisco Systems acquired Tandberg and as they sort of merged these teams together there was a division whose job it was to take these video conferencing devices and make them useful outside of boardrooms. And it was a very small division and yet as we combined these two teams that had overlaps, I was looking for a new opportunity. And I saw this little group and said, hey that looks interesting. I’m very passionate about tech. I asked to take over this fledgling group that was very very small, 1 million, 2 million tops in revenue. And I spent three years under a Cisco umbrella, building the team, building some products and building something interesting. And after three years time hit this inflection point; we had some cool products, we still weren’t… at a multi-billion dollar company like Cisco, this isn’t necessarily something that they’re going to be passionate about. And as we had decided to focus in on health care, health care is a tough area. There’s a lot of regulation, it takes a lot of love and care and feeding to make something grow, I saw a window of opportunity. So we approached Cisco and sort of negotiated a deal to spin this out as a new entity. So two years ago we did that and thus Avizia was born. So it was an interesting start in that we found something small that we cared about, we were passionate about, we sort of grew it a little bit internally, and then found a win-win scenario where for Cisco, this was a great opportunity to let something grow with more dedication and investment by people like us. And on our side it was a business. It was an idea that we could drive. So I think as an entrepreneur there’s a lot of areas that ideas can come from. For us, this was something that was an opportunity that we seized and made into something bigger. Right. That makes a lot of sense. And you started it with, was it two other people came with you? Yeah I have two co-founders, Luke and Cory. We sort of have different skill sets. One takes a traditional COO role, does a lot of the finances, the legal, the HR, et cetera. Cory, he’s our CTO, runs all the technology, our engineering, both on the software and hardware side. And I take the CEO role, which is primarily around fundraising and strategy and driving marketing and sales. Right. Yes that makes a lot of sense. Let’s talk about your own personal path for a little bit. Where you are today I think, especially with the origination story with Tandberg, Cisco, now Avizia, it all kind of ties together and makes sense. Was there anything in your childhood or high school that made you think you would, at some point start a business? Or what were you like as a kid and a youngster? I was definitely a big nerd. But I think that’s a common trait in today’s tech economy. I was always very passionate about technology, and whether that was computers or the precursor to the Internet, these BBS systems or things, and I was fortunate that my parents helped sort of cultivate some of those passions. But I always loved tech, and to take things apart and get involved with them and see how we could make them better. And it sort of was ideal timing to be in a generation where we live in a product-centric world. You look at devices like the iPhone or the personal computer or other things that have evolved to a place where they’re very consumer-centric. And I was always very passionate about that. I wanted to find an area where I could similarly roll up my sleeves and play with tech on a daily basis. So in that respect I sort of eventually moved into my dream job. I mean it was a long process to get to that point but I definitely had a passion for tech when I was 8 or 9 or 10. Very early on. Can you kind of talk us through some of the decisions that led up to, you said Tandberg, Cisco, Avizia, but right out of college what you were doing? You think of entrepreneurs as being 20 year olds that just decide that they don’t like school and they go and sit in their parents garage and go invent something. I think my process was a little different than that. I got an undergrad in accounting, I worked at Dell for a long time in corporate finance and then in consumer marketing. I happened to be there during sort of the heyday of growth in late ’99, early 2000s. And again I was in a high-tech, fast growing market and really loved it. I went back and got my MBA at the Kellogg School of Management at Northwestern. I focused on strategy. I ended up leaving there to go work at McKinsey and Company as a strategy consultant, which was a fantastic role in that I got a chance to be exposed to a number of industries, primarily at larger corporations. But to be able to see lots of high power executives and how they operated and how they built teams and managed their decisions was very transformational for me. And then I moved into Tandberg and Cisco and so on. But for me, that process to get to the point where I could start Avizia, was extremely helpful because I had had exposure to marketing and to finance and to accounting and to strategy and to consumer industries and to tech industries and to service industries and other things. So I felt like, it many ways I was very fortunate to check a wide variety of kind of cross-functional duties, before I got to the point of starting a company. So that changes your mentality. As a 22 year old in your garage, you’ve never had to experience laying people off or how important culture is or ‘how do you build an industry leading project management team’. But the way my career worked out, by the time I had gotten to that point I felt like I had been exposed to almost every function that I would have to build as a CEO, which was very fortunate for me. Right. And as you said, I think some of the business of consumer successes, and the kind of narrative of the ultra young founder is definitely fodder for some of the tech media. I think having seen some analyses of the amount of value that’s created by businesses for people that have actually grown businesses before, I think it’s sort of the other part of the story. And part of the effort here on Numbers and Narrative is to tell the multitude of different founder stories. One thing I’m curious about, given what you said about after your MBA being a management consultant at McKinsey, it’s easy for me to see how someone with that kind of management consulting background, once a company is now where Avizia is, more a growth company than a startup, how now you’re so well placed. But talk about day one, and I realize it was sort of a unique situation, but now you have Avizia, it really is a startup, and you have to grow it from scratch having not grown something in your own umbrella from scratch. Obviously you’d been at a number of businesses and grown this new business unit. But what was it like in April 2013 for those first few months trying to get going? Yeah. You know the way that we originated the company, sort of spinning off with a few existing products and a few existing customers, is also unique. It’s like being pushed out on the freeway. It’s not like most startups where you sort of have a little bit of time to scale, we build a little platform with one customer and start to grow up. In our case, we started with 10 people that were largely of a product management engineering background, and on day one we knew we had orders that could come in anywhere around the world. So for us to get up to speed was something that we had to do very very quickly. And we didn’t have a sales team, we had no operations or supply chain. We sourced stuff globally. We didn’t have any marketing function to speak of. All the things that were provided in a broader Cisco context were things we had to create. And so when we started it was sort of an immediate, ‘oh crap’ moment, where I needed a sales team, I needed partners, I needed a call center, I needed a distribution warehouse to ship gear, I needed to sign arrangements with all of our suppliers globally. And I had to literally do that in about a month’s time. The good news is, if I did that there were customers waiting. Right? But the bad news is, just like any startup, capital is scarce, you don’t know all the people that you need and you have to move very quickly. But it was fun for us and it sort of set a tone very early on around a sense of urgency, which is a key part of our culture. These aren’t things I can wait six months to do, I need it tomorrow. Let’s figure out how to do it. And I’m fortunate to have really good co-founders and really great employees that have that mindset and we made it happen. And in that month, defining the culture, like you said, under this need and stress to do so in month one, I understand the necessity there, but how did you think about screening new hires that you knew you needed their functional expertise right now, but thinking about that in the broader context of, are these the people that are going to be with me in 2 years, 4 years and beyond? That’s an area where I think we’re different, by virtue of being a little bit older as an entrepreneur. I think a 20-year-old kid out of high school is not thinking about culture. Or in their mind culture is, this is a cool place to work we wear shorts and it’s really casual. Well that’s an element of culture but it’s not really culture. And as a management consultant, having worked for companies like Southwest or Wal-Mart or Hallmark cards, companies that had culture as a strategic enabler, and having seen that from day one, it was a very critical part of our DNA. So the implication is, when you’re sitting across from someone you’re thinking, I absolutely need a VP of sales tomorrow, it becomes really hard to say, but this person are they going to support our values? Are they going to support our culture? And we decided as a management team from the very beginning that we couldn’t afford the downside of hiring someone who wasn’t a fit. Even though, as I told you, when you have a month to get up to speed, you feel like you want to make some of those trade-offs. Instead we just agreed that we would take it. I would be the head of sales as long as I needed to. It was literally almost a whole year before I hired a VP of sales. I mean even though I didn’t know a whole lot about sales, I passed over many very qualified and great people who, on paper, were perfect for the job. But they didn’t fit our culture, because we felt like, when you start thinking about how hard it is as a small company to retain individuals and get them moving in the same direction, that was something that we overinvested on, and it pays dividends today. I mean as a small company you’re always trying to get noticed, you want people to come in, and I feel very fortunate. By the time I interview someone now, we’ve grown from 10 people to almost 60 in 2 years – by the time I interview someone, say a sales rep or director of customer success, they’ve talked to 5 to 10 other people in my organization. And by the time they’ve talked to me they’re sort of begging to sign. I don’t feel like I have to sell them because every person has told them, I love this place. The people are ethical, the people work so hard. There’s this friendship culture and servant-leadership and whatever it may be. That’s become a strategic enabler for us and I’m often surprised at the caliber of people we’ve been able to recruit, being the size of company that we are. It’s much easier to find someone today than it was in the early days. But I think it’s because we invested in true culture, which I think for most small companies is something you do when you’re five years old and grown up, not something you do in month two. Right, right. Running from the very start. For sure. So one thing that you, at Avizia and as the CEO, did relatively much earlier than other startups, is you acquired another company, or merged, acquired, a company that was called Emerge.MD. Can you talk about why that was important? Both how it meshes well with Avizia and why the acquisition as opposed to just a partnership? So it’s an interesting one. Strategically it was a no brainer. When we acquired Emerge.MD we were primarily a hardware company, they were primarily a software company. It just seemed like peanut butter and jelly. Yeah exactly. What’s interesting though is I think people are always very hesitant to make moves like that. They think they’re going to get diluted, they feel like this is going to change my capital structure and they’re almost afraid to swing for the fences. And we decided very early on that if we were going to fail, we wanted to fail fast. And in our world, telemedicine has taken forever to grow, but we feel like we’re at the inflection point now, where it’s going to grow very very fast. [20:00] And when it turns the corner and has that super exponential growth, we felt like if we were behind at that point we would lose. And so as a company it’s been part of our DNA that we needed to get there quicker, and this was an opportunity to fail fast. If it wasn’t going to work, it wasn’t going to work. But why not swing for the fences. So I think it’s very unusual for a company the size that we were to go ahead and make an acquisition immediately. And they were a similar sized small company, and I think we both just saw that the synergy that came from two 15-people organizations are a lot more powerful than the sum of the parts. And it worked out very well for us. But again, as we talked about culture before, some of those things sort of created a framework that let it be successful. Right. And many of those people are not based in this office, is that right? You now have multiple, how many offices does Avizia have? And I’m sure you have sales teams that are throughout as well. We’re interesting in that regard because out of 60 people I think 20 are here at headquarters. So literally 1/3 of the company. We have an office in Scottsdale, AZ, we have an office in Bangalore, India and we have people literally scattered all around the globe. We’re fortunate to come of age and have part of our business be video conferencing. So when you walk into my office you see literally screens everywhere. I can attest to that. It’s hard to even get a…it’s 1, 2, 3, 4, 5, 6, 7…there are 8? Maybe more? It is full of equipment of that sort. Yeah and this is something that we eat, drink, and live video. If our business is about providing video for patients and doctors it’s something that we need to understand. So the second we hire a new employee, no matter who you are, if you’re a customer support rep if you’re sales if you’re an executive, you get a video unit on your desk, you get the full collaboration toolset. And that lets us collaborate in a way that most companies couldn’t even dream of. And it also gives us a very broad talent pool to pull from. If my best VP of sales is in Colorado, let’s hire someone in Colorado. It doesn’t have to be in the DC-metro area. If a really good developer or product manager or solution architect is somewhere else, great. We don’t have a problem with that. And because so many of our employees live in that environment, they understand how to make it work and we have the items in place to make it succeed. And we’re talking about video conferencing, video collaboration, toolsets for everyone on their desk. I think a lot of people think about, yeah I used Google Hangout or Skype video that can be patchy, maybe you use it but then you turn the video off and just have the audio. It looks, just from [being here in] your office, that you’re using, there is a difference between the free stuff that a company might use, versus you’re making it important for growing the business. Absolutely. And obviously we’re biased, we came from Cisco we came from Tandberg, we came from companies whose sole focus is building very high-quality, high-definition devices. I think the difference is, video and collaboration are technologies that you can’t dabble in. You can’t say, oh well we have one Google Hangout room and people use it every once in a while. For us, the benefits are when every single person is literally connected. So if you walk through my office at any one time you’ll see 5 out of 15 people on a video call, right then. And we actually don’t use phones. It is literally a part of our DNA that the second you want to talk to someone you dial them on video. And it’s a much richer forum of collaboration than voice. On voice we multi-task, we do other things, we’re drifting. Whereas with video you’re forced to look someone in the eye, be very focused. And so our meetings are very quick, it’s sort of like being able to snap my fingers and have anyone in the company in my office instantly. We can make ad-hoc decisions very quickly because of that underlying technology. Right. I think, probably I and pretty much every listener out there can attest that sometimes when you’re on just an audio call or a conference call with 3 or 5 or 8 people, you’re not getting everyone’s full attention. That is for sure. But it’s also a way for us to eat our own dog food. Right? If I’m trying to explain to a doctor or a patient how you use these technologies, the fact that I use it everyday, that I know how that system’s architecture works, when I’m explaining that to a customer it makes us believable. This isn’t some future mystery tech that no one understands. It’s something that I have to use. And so it makes us much more credible when we talk to potential customers. Right, right. As you said, telemedicine has been around for years, it really is, it looks like, turning a big corner on hyper growth. Can you talk about, let’s talk a bit about the Avizia product, product suite, and the market right now? My understanding is primarily health care for Avizia right now. But can you talk about, what is it that you’re providing for hospitals, health care systems, others that Avizia sells to? So every hospital is a little bit different. They all have different use cases they’re trying to make happen. And we try to have a technology stack that can enable any of those. So our platform, our products, as I said we have 3 main areas. We have hardware, software and services. On the hardware side it’s various medical devices; these are FDA, class-1 registered devices. They take the form of telemedicine carts, carts that you wheel around with battery-power and screens and high-definition cameras that are very mobile for use in emergency departments. We have various software clients that you can put on your iPad, your iPhone, your PC to enable video consultations with, say, a doctor, who’s at home, from their office. We have secure text messaging client for connecting doctors more than anything, so they can find and collaborate with their colleagues very quickly to bring in the best answers. So we sort of have, on the top layer, all these different, we call them end points. Ways to connect. Then we have a variety of software for us that’s what we call work flow. This is all the things that sort of take you through a doctor’s visit. So in a tele-stroke context where a patient is having a stoke, you have a way virtually check them into a virtual waiting room, to assign the right doctor, to start a consult. You know when you see your doctor they’re furiously typing notes in on their computer. It’s all those same things virtually. I’m going to do a NIH stroke scale on you. I’m going to figure out where you’re at. We have that documentation built into our platform for various ailments and specialties, whether that’s dermatology or behavioral help psychology, whether that’s language translation services, et cetera. So that workflow is a key part of our solution stack, and what we primarily acquired in this company we brought in. And then to round that out we have a series of professional services. So these are implementation teams to go set up the software when you sign a contract. They are maintenance contracts and support personnel to help fix the hardware gear if there’s any issues. We’re starting to get more and more involved in the consulting services, because many hospitals don’t know what it’s like to have a telemedicine program. What are the key metrics we should have? Who do I need to involve in this? We’re starting to enable that. So we have this broad technology stack, and then depending on the hospital they have a different entry point. So in many cases it’s tele-stroke and I need a way to support rural patients with a neurologist. In other cases they want to do what we call virtual visits: A mom at home that has a kid with a sore throat and just wants to talk to a doctor through a web browser. Those are very different use cases to support, but our technology platform can do both ends of the spectrum. So we find that hospitals enter in at different points, but over time they start with one service line or specialty, and then they want to add more and more, which is good for us and good for our business. And you talked about, just to hear the breadth of use cases, workflows that Avizia supports – everything from stroke, mental behavioral health, a child at home who has a cough or sore throat. The health care world is so broad, there’s so many subparts and potential use cases. How did you think about either focus versus breadth over these past two years since Avizia started? I mean did you start with just one use case and you’ve built them? Or did you say, hey we can do any of them and kind of built it on the fly? So when we started the company one of the observations we had, back in the Cisco days, was vendors would show up to a hospital and they would throw various pieces of technology over the fence, and they would leave it to the hospital to incorporate it. And that was one of the reasons that telemedicine was struggling to gain adoption. Too much of the burden was being placed on them. So one of our theses for starting the company was we wanted to be an end to end vendor and provide fully integrated solutions; Hardware that worked with software that worked with our services, et cetera. And so in that way we did have a breadth that we did want to have from the get go. On the flip side, as a startup you’re always short on resources. You can’t do everything. So we were very clear on areas that we couldn’t scale into. For example we don’t provide doctors. There are people in our industry who have built their model on having doctors. Whether you’re a startup that has lactation specialists. That added a layer of complexity that we felt like was outside of our range of expertise. And so you have to find ways to prune the tree, and then you have to find ways that you’re going to be deep and be an expert. And so for us, the technology was interrelated enough, it’s actually not all that different to build a dermatology workflow than it is a stroke workflow. Yes they’re different questions, but the act of a patient who has a need and is with a doctor over video, is the same. The platform is the same. The platform is the same. Got it. So it gave us an area to be broad in and yet ways to narrow the focus because we don’t have unlimited resources. And we need to be able to really deliver on the areas we’re doubling down on. Right. And have you seen the technology itself, even in these past two years, kind of shift and grow in its capability? Absolutely. We do a lot with Cisco, Cisco technology. We came from Cisco, it’s part of our DNA. But in the video marketplace there’s always a number of new technologies, new codex, new platforms to use. So we want to be where our customers are. They might use, think about a Mac world versus a PC world. We can’t just say we’re only going to focus on Mac users. We’d be cutting off part of the marketplace. So for us, we try to look ahead and be where our customers are and incorporate different technologies. Some of them want to use different secure texting technologies on different platforms, so we have to cover that. Some of them use different video codex, so it could be Cisco, it could be Polycom, it could be, there’s a company called Vidyo that provides these. We aim to support all of those. And what that’s done for us is it’s expanded the marketplace because when we started maybe we were in only 1/3 of markets, 1/3 of customers because of the technology platforms they’ve selected. As our platform has become more open, it’s let us start to play in all of those areas. So we try to stay broad in that regard, so that we’re sort of vendor-neutral and have ways to focus on different areas. And that’s given us a way to participate with a broader customer set. And on the security point, we recently interviewed Will Ackerly who’s the technical founder of a local company called Virtru, which secures digital communications on behalf of, you know, HIPAA Compliance or a host of other use cases as well. It seems like security is kind of everyone’s problem, the hospital, the health care and all of the vendors. How have you had to be thoughtful about making that part of your offering or partnering with others? It’s huge for us. If you think about HIPAA Compliance or HITECH compliance, these are strict rules governing patient health information, PHI. We have PHI on our servers, so we have to be very mindful of that. Part of why we use technologies like Cisco is because they have the encryption, they have the higher security, they have the things that you wouldn’t normally find in a free tool. I could go download, I could use FaceTime on my iPhone but that’s not the same thing when I’m talking about patients and patient data. So we have to set a pretty high bar around security in the solutions that we provide. But it’s definitely something that we look at. These are FDA, class-1 medical devices. Making sure that they’re safe, that they comply with international safety and health care regulations is a big deal for us. We’ve already sold products to 35 different countries. Figuring out what the medical requirements of Canada or Saudi Arabia are, are very different. So it’s an area we’ve had to develop expertise in pretty quickly. Right. And speaking of having to develop expertise quickly, with several dozen, I think you said 60 people at Avizia these days, but selling in to 35 countries? I mean help us understand, you have a partner ecosystem I would imagine that helps you with that? We do. As a startup there’s a lot of ways to get broader scale. If you think about our software dev teams, we have some people that are in the house, we have some people that we use as contractors. It lets us have a much broader group of people. It’s the same thing in our sales model. So we have a number of distribution partners we use globally. We’ve got over 50 partners around the world and that lets us do deals in places like Australia or the Middle East or Western Europe or wherever it may be because we have agents of the company who are already selling technology that’s similar to what we have and they can say, ‘oh we stock Avizia products as well. You’re looking at telemedicine? Great.’ That’s been a great way for us to expand. So we do some things direct, we do some things indirect, but it’s given us a much broader scale than we would have otherwise. Great, that makes sense too. We’ve talked about the hyper growth, and that as a challenge. But right now what are the big challenges for you in terms of staying focused, and what’s next? It seems like there’s so many things you could do to grow Avizia. So we have a term internally called T-Day, telemedicine day. We talk about how in World War II there was this event called D-Day that was the turning point in the war, they stormed the beaches of Normandy and it kind of took off from there. We believe that there’s a day in the future where telemedicine is going to take off and our job is to sprint as fast as humanly possible to be ready for that event. And so that changed your decision making process. The reason we acquired Emerge.MD, we could have built that platform on our own but that would’ve taken 2 years. So yes we give up some things. You dilute your equity, you bring in other players, but we save time. So we’re always looking at ways to shave time out of innovation cycle. We’re constantly looking at companies that we should partner with or acquire. We’re constantly evaluating new technologies that we want to be in. and we’re also pruning some of those things out. If you try to do too much you’re not going to be as successful. For example we looked at, for a while, should we build a device that sits in the home? I’d love to but there’s a lot of competitors in that space. So let’s instead focus on making our software more efficient, or whatever that decision may be. But as an executive team we’re ruthless about making sure that we can deliver on the things that we’re doing in a very fast way. So we have a spirited culture of debate to make sure we focus on the most essential things. But in our world, as you asked, we’re actively pursuing both acquisitions that we should take, ways to raise greater amount of money, to accelerate our progress, because we view this as a time bound opportunity and if we miss that moment we miss our T-Day and we can’t scale. And I think as a non-expert in telemedicine, I see the rapid growth of Avizia and, like you said, you have some competitors. You hear telemedicine a lot, it could look from the outside like T-Day might be upon us now. What are the things that you see to take this growth in telemedicine to this T-Day and beyond level? It’s always about resources I think. We were very pragmatic about the when and how of raising money. In the early stages of our company we opted to focus on venture, sorry to not do venture capital, to focus instead on smaller angel investments because we needed to build a platform that was ready to scale. So we did a number of rounds with local angel groups that were very supportive of us. But as we hit a point where now we have a platform, now we have a story, you have to sort of switch gears. Now we need to pour gasoline on the fire as quick as possible and that changes who you interact with. So we’re currently working with a group of large institutional investors because now it’s not about raising a million it’s about raising 10 or 15 million because the platform exists. [40:00] In our world, if we had done that prematurely before we really had a story to tell, I think companies can take in more than they’re ready to chew off and waste cycles. So we’ve tried to be very pragmatic about that and yet when the time comes, to seize the opportunity. And so that will be a gaining factor for us in enabling that scaling as fast as possible. But you do see the telemedicine market itself just hitting that real massive growth? It’s definitely hitting its stride. I mean if you look in the marketplace, there was a big IPO last week and that’s often the flare being shot up for everyone. So a company called Teladoc, that’s not necessarily a competitor for us but they just had their IPO last week and it was massively successful, it was up 50 percent on day one. And as soon as those events start to happen your phone starts ringing off the hook. Investors say, wow this is real. But what’s interesting for us is finding those investors that were already in the sector before it was cool. Before it was cool, right right. They saw the signal before these new folks did. That makes a ton of sense. And you know, as Avizia continues to grow, I feel like we’ve talked a lot about the company itself, the product, your work culture, the unique aspects of being video and video collaboration experts to enable you. Let’s take it back for a minute back to another thread that I thought was really interesting which was, Mike Baird, as a sort of seasoned professional as startup founder. And you have a family. What’s it been like to be a startup founder at a promising, growing company, with a family too? I think it’s different than most people think of. You think the best time to do something is when you’re most flexible right? You don’t have a lot of bills, you don’t have kids you’re supporting, et cetera. I have 5 beautiful children. Across the 3 cofounders we have 14 kids. So if you do the math…and what’s interesting about that is two things. One, there’s sort of a greater pressure around, ‘this needs to be a really good idea.’ This needs to be something we really believe in. I’ve got two daughters that are in high school now, they’ll be hitting college soon. I don’t really have room for air. So that means we’re very motivated, I think by that. It’s been fun for us to use them as almost a target market. My family is very supportive, they love the technology, they wear Avizia t-shirts, they talk about it to their friends. But what’s perhaps the greatest thing for me is, you’ll find in your podcast I’m sure that almost every entrepreneur talks about passion. That’s a common thread across all entrepreneurs. For us as founders, our passion is our families. So with 5 kids I’m an above average user of the health care system in the country today. So when I look at providing a world where my kids have access to fantastic health care, that motivates me in a way that at 20 years old I wouldn’t have been thinking about. And it’s also extremely impactful when I work with physicians or with hospitals, because I have a story to tell. When I’m talking to potential customers about our tools and I can talk about how my daughter had this rash and I was able to use our platform to take a picture of it and talk to a doctor online and do this before she gets on the bus to high school in the morning, that resonates in a way that someone who hasn’t experienced that just wouldn’t have that seasoning, wouldn’t have that experience. And people know that we’re very serious, this is something personal to us. And it’s interesting, as we talked about culture and other things, it’s a thread that extends throughout the company. Almost every candidate that I talk to, when I ask them why they wasn’t to be at Avizia, they start talking about a personal family, health care scenario that impacted them. ‘My grandma had a stroke and I wish there was a way to help her out. My wife has allergies and I wish there was a way to help them out.’ Because it’s something that touches us all very deeply, it helps us put ourselves in the shoes of our ultimate customer, who’s not necessarily the hospital. It’s the patient. So we have, as one of our values, patient care connected. How do we put the patient at the center of everything that we do? And I think having a family, having that as my background, makes me be laser-focused on, ‘how do I improve their lives?’ So it becomes natural to innovate around that topic. Yeah. That’s great. And I think that’s inspirational to many people who think about, there’s no kind of right way to start something. And certainly if you have a connection and passion for something, growing it out of that is wonderful. As we wrap up here in the last couple minutes, I’m curious. I’m based in the DC area, as are you and the Avizia headquarters. What has it been like to grow a technology company here and not in, I think most people would think of and for good reason, kind of Silicon Valley and some cases New York City? Maybe less so for the type of your business that you’re in. But what’s it been like growing a business in this area? It’s interesting. We talk about this all the time. In some ways you think life would be easier if you were in Silicon Valley. There’s more investors, there’s lots of talent, et cetera. Yet we actually look at DC as being one of the reasons for our success. And I think of that in a couple of ways. Number one, it’s a more tight knit, smaller investment community. I feel like we’ve been able, I feel like the companies here are so helpful, the investor groups are so helpful. They’ve sort of brought us under their wing and they really try hard to help you out, which I love. I feel like in some ways it’s an advantage in that, and I’ve seen this in other startups on the west coast, I feel like the employees are much more transitory, they’re not as committed. They’re always hopping to the next big thing. Whereas out here, when I hire someone they’re really in it to win it which I like. In some ways I have less competition for talent, which is a good thing. I think in our particular area, DC being sort of the hope of regulatory is important. So if you think about the American Telemedicine Association is headquartered here in DC. When we work with the state federation medical boards or the American Medical Association, all these things converge in Washington. So in some ways, to work on a business that actually has, at its heart, health care policy, it’s very helpful to be in the DC area. I also think that the investors here are a little more patient. I think they’re much more long term focused. I feel like in a market that involves health care, health care does nothing fast. You’re not going to turn this thing around in 6 months. It’s nice to have that mentality and I see that in the investors that we work with. They settle in for the long haul to help us, which I just love. I feel like it’s been a fantastic place to start a company and we’re really thankful for the support of the investors we’ve had in the area. Great. Well for patients that want to make sure they can get access to Avizia for hospitals, health care systems, what’s the best way to learn more about Avizia? Certainly go to our website, www.avizia.com. There’s lots of places to request a demo, request sales contact, et cetera. That’s probably the easiest way. And we’ll get one of our many sales managers in touch with you. Or we do webinars and various things on a regular basis to educate customers. And we’re always happy to help. This is our passion. We want to change health care and make it easier and better for everybody, so we’d be happy to talk with anyone, anytime. Great. Well thank you so much for your time today Mike and it’s been great to be with you.